We would love to cater any event you are planning – Weddings, Office Parties, Private Functions and more. Click on the links below to view menus we have created for customer events in the past. If you are planning an upcoming event, please email us or call for more information. 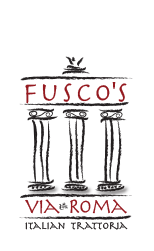 Large parties are always welcome at Fusco’s!